What would art be without love? Imagine if we had robotic-type gears instead of emotions. Would the songs, books, paintings and poetry that enrich our world exist? I doubt it. How lucky we are then, for better and for worse, to be so blessed with the ability to feel, and to be able to take that emotion and turn it into words, colors, sounds, or movement. 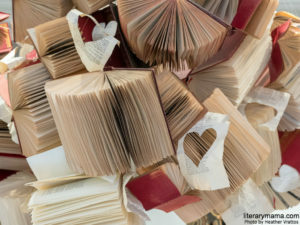 To honor St. Valentine this February, Literary Mama staff recommended some great love stories, though not necessarily of the romantic kind. On a personal level, love inspired me to leave my life and family behind and move 3,000 miles overseas with my new husband to Israel. Since coming here 20 years ago, I have slowly fallen in love with this troubled nation and have been charmed by its vitality, moved by its history, and seduced by its multicultural food and art. But recent events have inspired me to become more politically and historically knowledgeable about my adopted homeland. To get to the truth, I decided to read a variety of books from various viewpoints, particularly those which are contrary to my own, yet based on firsthand knowledge of the Palestinian-Israeli conflict. 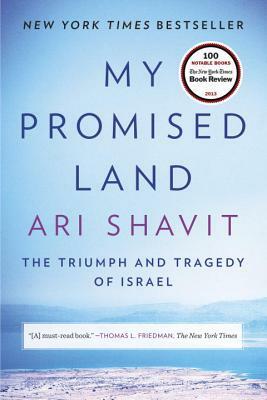 For my first venture into the quagmire, I chose My Promised Land: The Triumph and Tragedy of Israel, by Ari Shavit. The writer is a liberal journalist and activist who tells the story of Israel through his own personal history, documented political events, and in-depth interviews. He begins, poignantly, with a vision of the pre-Israel landscape, imagined through the eyes of his great-grandfather, a 19th century pioneering Zionist. Later Shavit turns to examine the mindset of the newborn state of Israel, through accounts of Holocaust survivors rebuilding their lives and Palestinians forced by war to choose between their land and their life. He recounts too, the beginning of Israeli settlements and his personal experience as a paratrooper during three years of mandatory military service, which led him to become an anti-occupation peacenik and human rights activist. Reading the book was uncomfortable, often sad and, at times, annoying. I wanted to argue that my own experience living here did not coincide with Shavit's sometimes sweeping assumptions. But all in all, his harsh criticism and disillusionment is offset by the obvious love for his homeland. If you would like to delve beneath the surface of the Israeli-Palestinian conflict and read a well-rounded point of view, I recommend giving this one a shot. Kim Ruff, Creative Nonfiction And Fiction Editorial Assistant, reveals a few personal love stories in her recommendation: "There's not much else in the world that I love more than chocolate . . . okay, maybe I love my kids a tad bit more, especially when they're gifting me chocolate for Valentine's Day or Mother's Day, or any day that ends in 'y.' 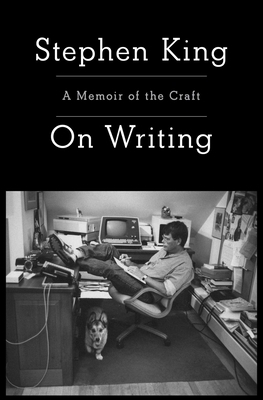 But one thing I love that might top even chocolate is Stephen King's best-selling nonfiction book, On Writing: A Memoir of the Craft. I started reading King's novels at ten. One of his first books I read was Firestarter. I was obsessed with the movie, wishing I could have been Charlie, the badass child protagonist played by Drew Barrymore. After Firestarter, I became obsessed with anything King wrote: Salem's Lot, The Dark Tower series, Pet Sematary, The Tommyknockers, and the list goes on. I might even go as far as to say he is the reason I pursued a masters in creative writing. However, I longed to know more about King, to understand his process and why he has an obvious love for writing. On Writing provides that insider's view. His passion for the craft of writing is presented, as expected, through storytelling. Except in this book, King shares personal stories of how he came to be a writer, his definition of what writing is, writing mechanics, his advice on writing, and finally, how he returned to the craft after an accident which left him temporarily unable to write. If you're a King fan and writer like me, you'll love this." 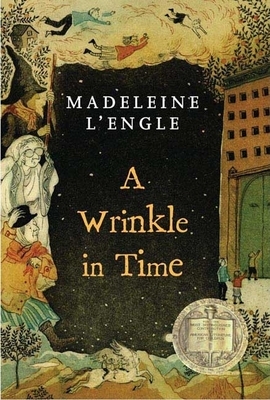 Finally, Juli Anna Herndon, Poetry Editor, shares a timely "read before you see the movie" recommendation: "One of the most poignant treatments of the power of love for folks of every age is Madeleine L'Engle's children's classic, A Wrinkle in Time. Take the opportunity to read this story for the first time now, or to give it some new attention before Ava DuVernay's anticipated film adaptation is released on March 9th. The story follows Meg, a sensitive and temperamental young teen, and her otherworldly five-year-old brother as they search the cosmos for their scientist father. Their travels through space and time place them in the middle of an age-old battle between the light and dark forces of the universe, a battle they must ultimately fight within themselves. A Wrinkle in Time is a science-fiction allegory about the ways in which we humans fight our own darknesses with love. The 'Dark Planet' that the children visit is an authoritarian, bureaucratic nightmare that is startling in its familiarity, and their struggles there ring true in today's political climate. The simultaneous peril and warmth of the climactic battle is so affecting that even my grown-up self has never gotten through it without tears. It’s a masterful telling of a perennially favorite myth about the strength of love over even the grandest of evils." What love story from your life has inspired you to write or choose a specific book? Let us know in the comments below. Nerys Copelovitz is a British born marketing writer and mother of three who now lives in Israel. Her writing on parenting and living in a hot spot can be found in the Times of Israel, Grown and Flown, Scary Mommy and Kveller. When not sweating over a hot keyboard, or stove, she likes to read and swim, though not in tandem.